Can you believe that we are already gearing up for back to school!? Crazy right?! The first day of school is just a few short weeks away & Little Sister C is super excited to be returning to school with her favorite characters! I'm talking about Snoopy and all of his friends! Hanna Andersson and Peanuts have teamed up to create an adorable and fun back to school collection inspired by Charlie Brown and the Peanuts gang! These special edition designs featured on heavy duty packs are built to organize and carry everything your kids need as they head back to school! The Peanuts Backpack was crafted for comfort, it features adjustable straps, a padded back, rugged haul handle and handy outside pockets. It's the perfect size for everyday for use for folders, books and more! 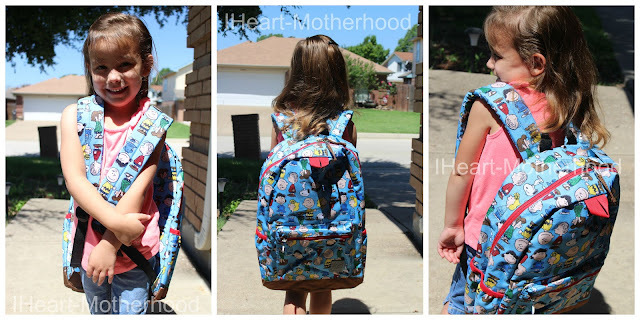 Even little hands can tote this backpack around, it has sturdy double pull zippers, a front loop to attach a lunch bag, built-in organizer, interior name label, 360-degree reflective and it's stain and water resistant! My daughter couldn't be more in love with her new Peanuts Backpack, it's colorful, has plenty of room for all of her school supplies and isn't to big or bulky for her to use on a daily basis. 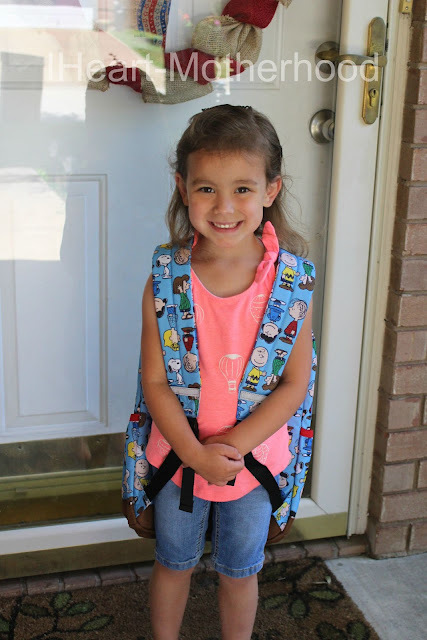 Kids backpacks are supposed to be durable and fun, I'm looking forward to this backpack lasting for many more school years! So what do you think? Would your little Peanuts fan love this back pack?! Buy it: Purchase the Peanuts backpacks online at Hanna Andersson for $52! Connect: Be sure to follow Hanna Andersson on Twitter, Facebook, Instagram & Pinterest!